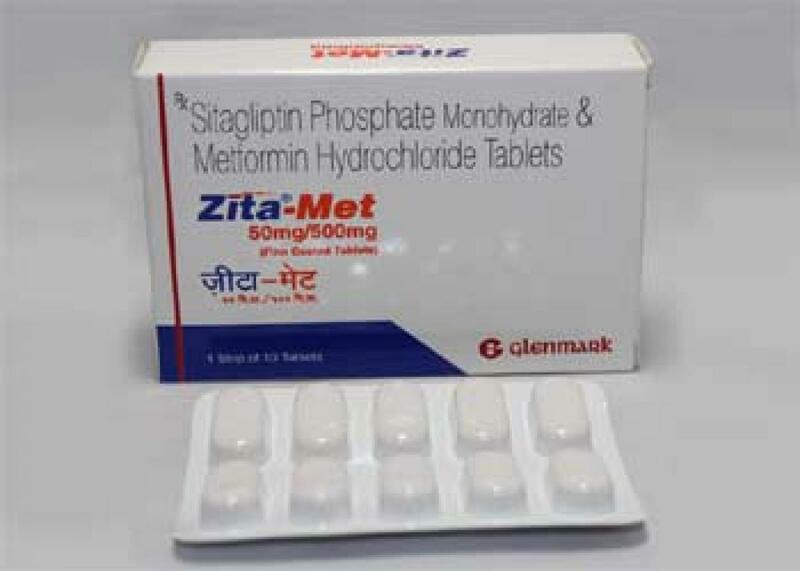 Delhi HC restrains Glenmark from making Zita & Zita-Met. In a blow to Indian drug firm Glenmark Pharmaceuticals, Delhi High Court on Wednesday restrained it from making, selling, advertising, distributing or exporting its anti-diabetes drugs Zita and Zita-Met on the ground that it violated the patent of US pharma major Merck Sharp and Dohme (MSD). New Delhi : In a blow to Indian drug firm Glenmark Pharmaceuticals, Delhi High Court on Wednesday restrained it from making, selling, advertising, distributing or exporting its anti-diabetes drugs Zita and Zita-Met on the ground that it violated the patent of US pharma major Merck Sharp and Dohme (MSD). Justice A K Pathak, while permanently injuncting Glenmark from making and selling the two drugs, also said there was no public interest in the matter as there were other chemical compounds, other than the one invented by MSD, which were used in anti-diabetes drugs. "Arguments of the defendant (Glenmark) about public interest does not have much force in the facts and circumstances of the present case. "Sitagliptin (invented by MSD) is not the only DPP-IV inhibitor (oral anti-diabetes drug) for treatment of type II diabetes in the market and there are several other DPP-IV inhibitors, including the one manufactured and marketed by the defendant, that is, Teneligliptin," it said. The court also said that merely because Glenmark was selling its drugs at a rate lower than that of MSD cannot be a ground for not stopping it from making them. "The invention of plaintiffs (MSD), that is, Sitagliptin improves the efficient management of the condition of a patient suffering from type II diabetes by inhibiting the DPP-IV enzyme. "Merely because defendant (Glenmark), who is manufacturing generic version, is selling a tablet at a lower price than that of plaintiffs cannot be made ground to decline injunction against the defendant, who has been found to have been infringing the invention of the plaintiffs, is as much as, a competitor of the plaintiffs," the court observed. While MSD's anti-diabetes drug Januvia costs Rs 43 a pill, which is roughly 1/5th of its price in the US, according to market sources, Glenmark's version costs around 30 per cent less. Reacting to the verdict an MSD spokesperson said the company was pleased that the High Court "has found Glenmark to have infringed the patents of our Sitagliptin products Januvia and Janumet and have restrained Glenmark by decree of permanent injunction from making, using, selling, distributing, advertising, exporting, offering for sale or dealing in SPM or any other salt of Sitagliptin in any form, alone or in combination with one or more drugs."